Step out of Alice Springs with an excursion to Hermannsburg Historic Precinct in Hermannsburg--about 2 hours away. Spend the 7th (Sun) exploring nature at Finke Gorge National Park. Spend the 12th (Fri) exploring nature at Owen Springs Reserve. Next up on the itinerary: identify plant and animal life at Alice Springs Desert Park, make a trip to Ormiston Gorge, take an in-depth tour of Alice Springs School of the Air Visitor Centre, and get great views at Anzac Hill. For more things to do, where to stay, reviews, and other tourist information, refer to the Alice Springs online visit planner . 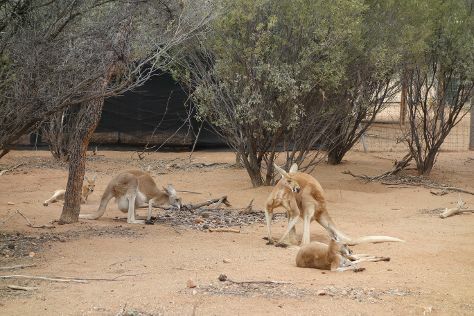 In July, daytime highs in Alice Springs are 24°C, while nighttime lows are 3°C. Finish your sightseeing early on the 18th (Thu) to allow enough time to travel back home.